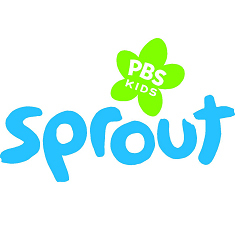 As part of our ongoing partnership with Sprout, the 24-hour preschool channel, we’re continuing to explore how we can make Kindness Count. This April, let’s discover how to be kind to the Earth with some tips on how to raise earth-friendly kids. And remember, small acts matter big! Whether you’re a diehard recycler who shops with canvas bags and keeps a compost bin in the corner of your backyard, or a busy parent looking for some quick tips on sorting glass from plastic, it’s easy to get your family on the path to greener living. But the best earth‐friendly practices require the cooperation of everyone in the household. So, how do parents get kids invested in recycling, reusing, reducing and the other basics of environmental responsibility? As with most good habits, the best way to teach them is to be a good role model yourself. When you show that you care about and respect the environment, your kids will do the same. Teach respect for the outdoors. This can start in your own backyard. Help kids plant a garden or tree. Set up bird feeders, a birdbath and birdhouses. Kids can clean out and refill the bath daily and clean up seed debris around feeders and restock them. On a larger scale, you can plan family vacations that focus on the great outdoors. Maybe a summer trip to a national park such as the Grand Canyon or Yellowstone appeals to your adventurous clan. Shorter trips might include a day at a state park. Even a couple days at the beach can offer plenty of opportunities for you to point out and discuss the plants and animals you see and why it’s important to protect their habitats. Recycle. Recycling is easy and, in some communities, it’s mandatory. Check with your local recycling office and be sure you know all the rules. Some communities allow commingling ― all recyclables can be placed in one container ― while others require sorting into separate containers. You may need bins for each type of recyclable: one for plastic, one for glass, one for paper and one for cans. Kids can sort (and rinse, if necessary) items, place them in the correct bins and take the containers out to the curb for collection. After the bins have been emptied, ask your kids to rinse them out (if they’re dirty) and bring them back into the house or garage. Drink your own water. Bottled water is expensive and, experts say, not any cleaner or safer than tap water. In fact, much bottled water is actually tap water that has been filtered. The water that comes out of home spigots in the United States is extremely safe. Municipal water supplies are monitored constantly and the test results made public. And unless they’re recycled, the plastic bottles ― most commonly made from polyethylene terephthalate (PET), which is derived from crude oil ― can end up in landfills. So have your kids tote water from the tap (you can add a filter to improve its taste) in reusable bottles. Clean green. Many natural products can replace commercial — and possibly hazardous —cleaning preparations. Just a few examples: to deodorize carpets, sprinkle them with baking soda, wait 15 minutes and then vacuum; use vinegar and baking soda for everything from oven cleaning and drain clearing to stain removal and metal polishing. Lots of websites offer green cleaning tips, and many stores carry premade nontoxic cleaners for those who don’t want to make their own. Lend a hand. Many communities sponsor green activities such as pitching in to help clean up a local park or playground. Maybe the area around your child’s school could use sprucing up. Conserve energy. Remind kids to turn off lights when they’re not in use, power down computers, turn off the TV when nobody’s watching and resist lingering in front of the refrigerator with the door open. Hoof it. If kids can safely ride a bike or walk to school or to visit friends rather than catch a ride from parents, encourage it! Or if safety is a concern, consider organizing a “walking school bus” ― this activity allows kids to walk or bike to and from school under the supervision of an adult. Let there be (more) light. Older kids can help replace regular light bulbs with energy‐efficient ones. Compact fluorescent light bulbs provide about the same light output as incandescent bulbs, but they last much longer and use a fraction of the energy. Reuse and recharge. Buy rechargeable batteries for your kids’ electronics and toys and teach your kids how to care for and recharge them. This reduces garbage and keeps toxic metals, such as mercury, out of landfills. Pass it on. Ask kids to gather toys, books, clothes and other goods that they no longer use or want for donation to local charities. Have them ride along for the drop‐off so they can see how groups such as Goodwill and the Salvation Army use donations to help others. These tips are just some ways to get your family to become more Earth‐friendly. Once you get everyone on board with conservation, challenge your kids to come up with new and interesting ways of going green. Can your grade‐schoolers cut back on the amount of paper they print from the Internet? How about your teens: Can they agree to take shorter showers? Engaging your kids in this way will get them to start thinking about how their individual efforts affect the world they live in, and how little changes can ― and will ― make a difference.